In its response to Rep. [Kathleen] Rice, ICE claims it is making these assessments. However, the custody data that Rep. Rice received indicate this is not the case. Despite the continued existence of an Obama-era memo on caring for transgender immigrants, not one of the nearly 250 facilities ICE detains immigrants in is bound to comply with this guidance. Rather than automatically applying across DHS detention facilities, this guidance requires a contractual agreement with the facility. The number of trans people placed in solitary confinement is also staggering: One in eight transgender people detained by ICE were placed in solitary confinement in 2017, according to the report. 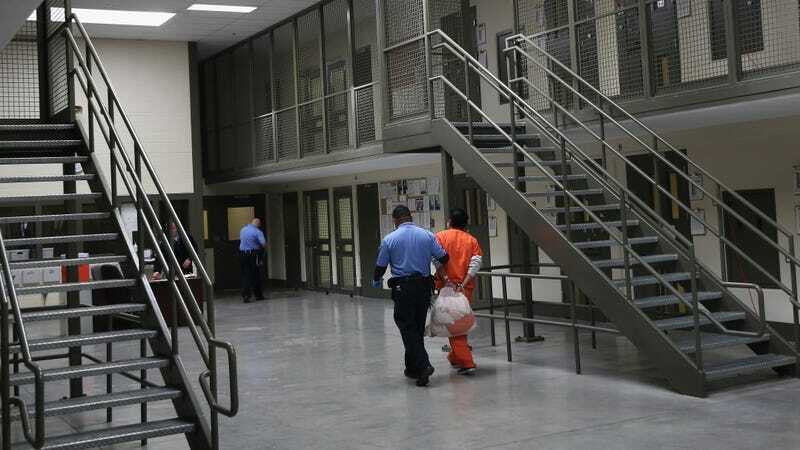 The report also found that “LGBT immigrants who were detained in solitary for more than 14 days spent an average of 52 days in solitary confinement,” despite another (neglected) guideline that solitary confinement should “not ordinarily exceed” 30 days. Despite a pending FBI investigation into these incidents, ICE would not release Laura—nor would it fire the guard. Laura remained trapped inside Hutto with her alleged abuser. Desperate, Laura ingested 51 prescription pain pills in an attempt to kill herself. In February 2018, ICE reportedly placed her in isolation for three days, during which time she claimed ICE tried to get her to recant her accusation of sexual abuse. A month later, Laura was finally released from detention after a judge ordered ICE to provide mental health care outside the detention facility. The full report, which underscores the disturbing, dangerous environment that LGBTQ immigrants face in ICE detention centers, is here. ICE Arrests Polish Doctor After 40 Years Of Living in the U.S.